Need low latency throughout Pakistan and sub-continent for your online viewership or for your own use in very affordable price with 100% network and power stability, select your working operating system, then the resources match your needs and place an order, rest left over us, we will do it for you on priority. Unlike other providers in Pakistan, we are using latest virtualization technologies. We always encourage latest techniques and technologies to be experienced by Pakistanis, here comes the factor of pricing challenge which is not covered by most of hosting companies based in Pakistan but we keeping any eye on this reason made our all virtual private server's plans in reach of all kind of clients who need dedicated hosting but with least amount of money. One more thing notice able is that internet connectivity is not stable in most of parts of Pakistan and this was the reason we have many backups for this to avoid any kind of later inconvenience and hosted our servers near to the internet hubs, We tried to offer world class support and experience for our multinational clients so that they may never consider to leave us due to our lack of hosting facilities or our own expertise, we are always ready for sorting your complex configurations so never hesitate to ping us for your questions and feedback. VPS hosting ensures the freedom to be the admin of your own data without any interference of any third party so acquiring virtual private server could be a best option to get online with full control and security. Now you may lease a VPS in Pakistan and manage it in your own way, you may install any of the operating system as per your own desire and requirement as well as make custom configuration, not only this but it is the primary solution to have the powers of dedicated server. If you need to run a custom application or in a need of specific extension which cannot be provided in shared packages environment then keep in mind that Apache, PHP, Perl and MySQL which are the main requirement for publishing any application worldwide would be pre-installed with most of the operating systems. Not only this but if you are running a website hosting company and want to start boosting, consider having atleast a virtual machine for you, buy a cpanel/whm or Plesk panel to manage your shared cliet's accounts. Keeping in view all the aspects we are offering different VPS plans in Pakistan to start with one, you may upgrade your VPS plan at any time. If you are looking for a custom hosting solution and your need is not being fulfilled in shared hosting, you should select one of our cheapest windows or Linux based Virtual Private Server in Pakistan with the freedom of choosing operating system. 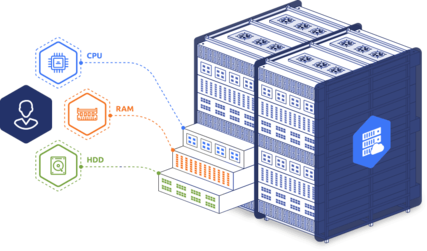 We can virtualize as per your desired specs though we have already comprised different VPS plans with small to large specification included as Ram, CPU Cores, Bandwidth and Disk Space. We are best VPS hosting company in Pakistan who starts configuring server in minutes after the confirmation of order and payment, We are popular VPS provider in Pakistan due to our reliable hardware, redundant networking, DDOS protection, Fast delivery, top notch support, good amount of available operating systems, VPS custom configuration and IPV4 and IPV6 support. We are now happy to announce that we are the first provider in Pakistan who is also offering VPS Hosting UAE. We provide all of our linux based vps with semi-managed support for free through which you can get help against most of the basic issue arise in your VPS machine, you may use any of the below option to launch your complaint or request.